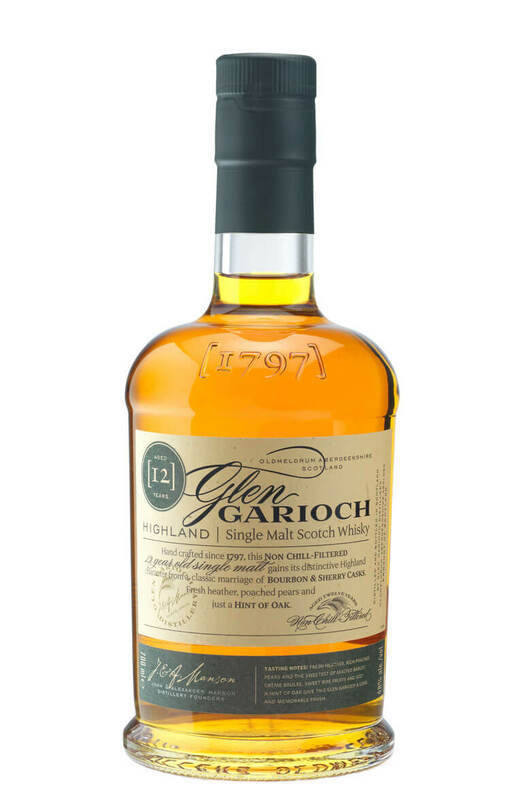 The Glen Garioch 12 Years Old gains its distinctive Highland character from maturation in two wood groups: American Bourbon, and Spanish Sherry casks. Each stage of the marriage adds distinct characteristics to the final single malt. Bourbon to soften and Sherry to add depth of flavour – fresh heather, poached pears and just a hint of oak. Nose Heathery floral notes are balanced with the richness of poached pears and the sweetness of malted barley. Palate Crème brulee and sweet ripe banana at first then comes a light oakiness with pear fruitiness. F. Paul Pacult, The Spirits Journal "Superb - wow the whole grain intensity is wide and deep in the opening sniffs after the pour." Largest selling single bottle at Whisky Live London 2011 "Whisky of the Show". Serge Valentin, whiskyfun.com "Honest, faithful and fairly close to the distillate. I like quite a lot."